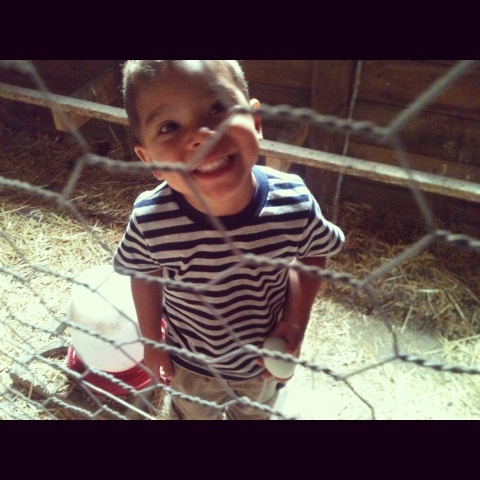 Ezra in the chicken coop helping me collect eggs. He was really proud of himself. 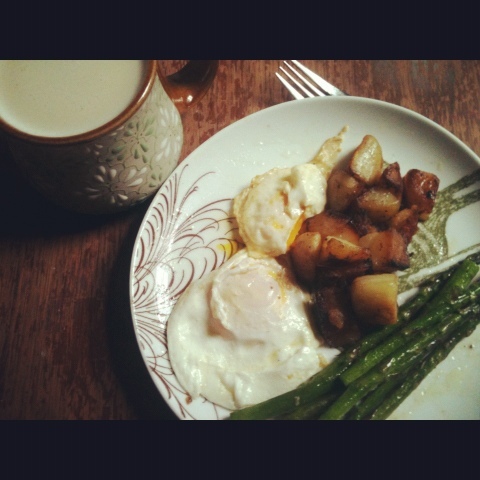 In season asparagus, backyard eggs, and tasty hash browns. The only this that made this better was chai tea in this mug from my sister. Its been too long since I made a proper post. So here it is. Complete with an outdated Easter photo I haven't shared. This past week end our town had its annual art walk. So much fun. Joel had prints up in two different venues. And of course they were beautiful. It was such a treat to be downtown as a pedestrian again. Something I haven't done very much, since adding a fourth to our brood. Note to self,.. must do again.